Finally, a t-shirt that performs as long as you do! Our new Ultimate Performance Crew has a soft, cottony hand, but effectively wicks sweat so you stay cooler and drier while running, training or just lounging around. 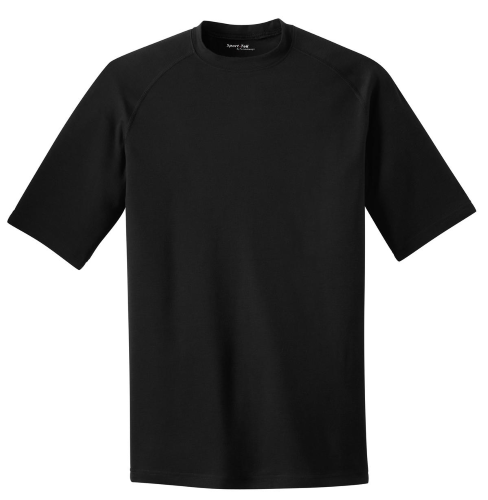 Raglan sleeves with flatlock stitching make for easy movement. An anti-pill finish keeps this high performer looking great. | 5-ounce, 95/5 poly/spandex Tag-free transfer label Loose athletic fit Double-needle stitching throughout Raglan sleeves * Due to the nature of 100% polyester performance fabrics, special care must be taken throughout the screen printing process.